Over the years on Jake's Rolex World I have published many music videos that showcase amazing singers, and live performances. 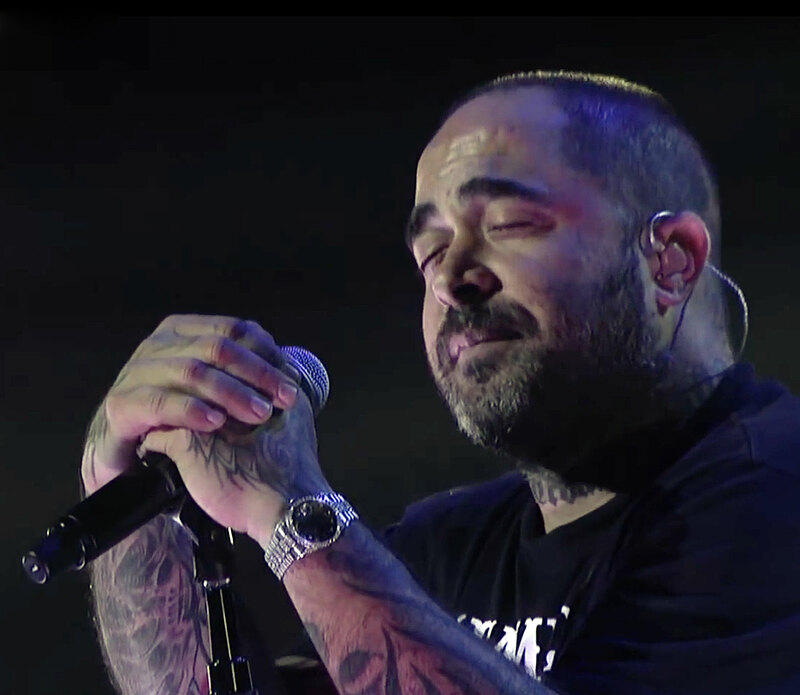 Today we take a look at Aaron Lewis performing with his band named Staind, and I have to say this is the most hauntingly brilliant vocal performance I ever recall publishing. As we see Aaron is wearing a white gold or platinum bejeweled Rolex Day-Date.